Stand up displays are very professional and distinct ways to show-case something that you want others to see, remember or act upon as a call to action product. 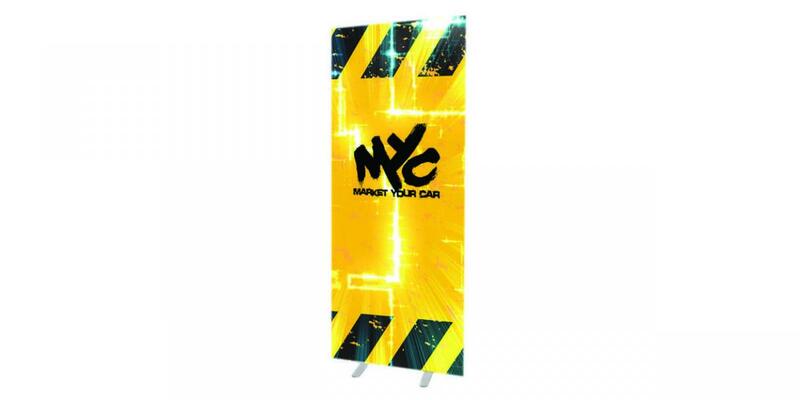 They came in various forms, sizes and shapes to suit the kind of product or advertising method you need to display. They are usually placed in strategic areas to grasp the viewer’s attention and provide relevant information for the viewer to retain and act upon in the near future. These aluminum legs can be fitted on many different maaterials allowing you to customes a signs to anything you like. 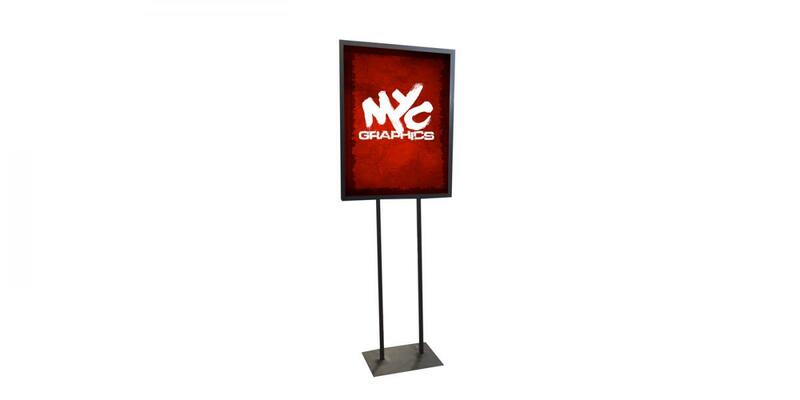 These displays can be customized to any shape or size (i.e. product, person, etc.). 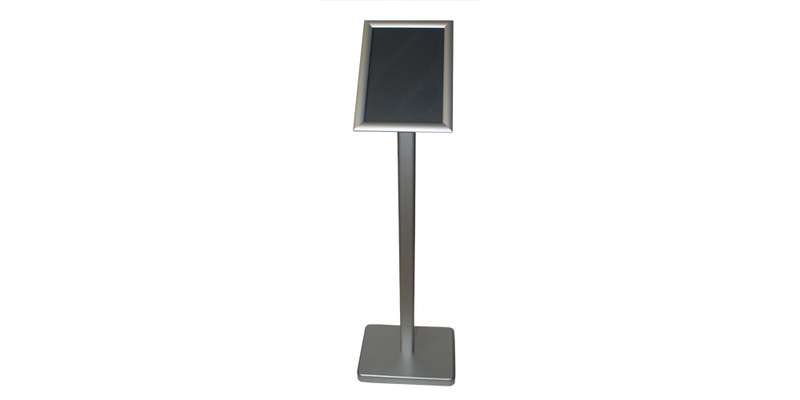 These standup displays are perfect for menus, greeting cards, price lists, flyers, etc. 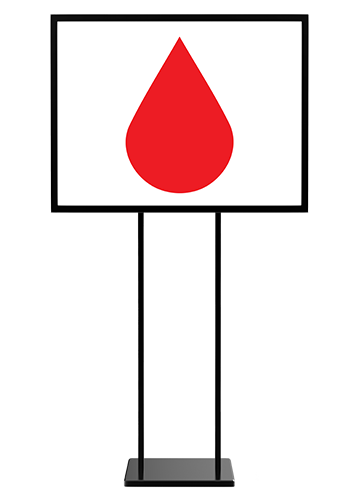 Use them to display your information is a elegant and professional way. 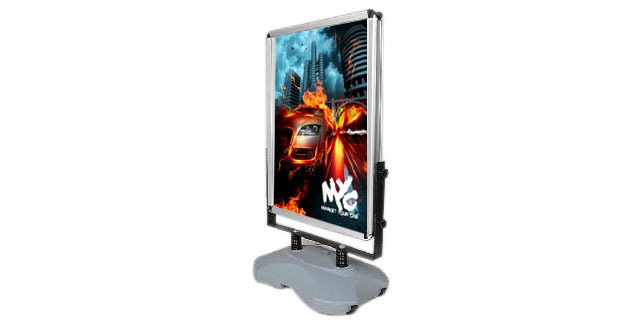 These larger stand up frames are great for showing off more information. Use them for posters, menus, etc. 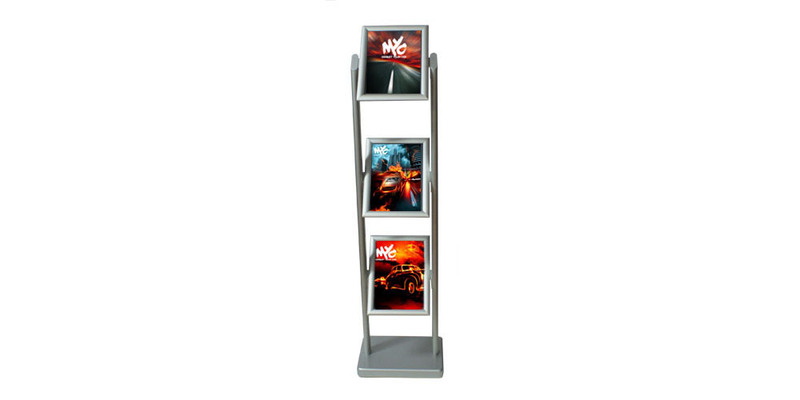 This elegant stand is great for showcasing different flyers or brochures in a professional manner. 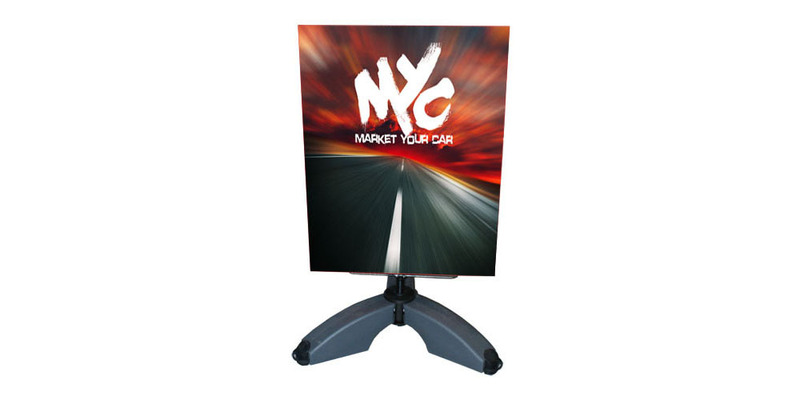 This poster stand is perfect for outdoors. The base can be filled with sand or water so that you don’t have to worry about losing your sign with the wind.